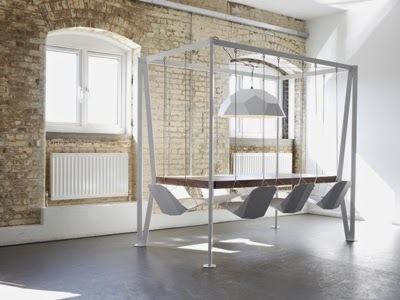 Designer ♥ Maker ♥ Finder: Swing and dine anyone?! Ok, this is pretty awesome. I saw it on the Frankie blog and had to have a further look..
Duffy London have made a fun dining experience! 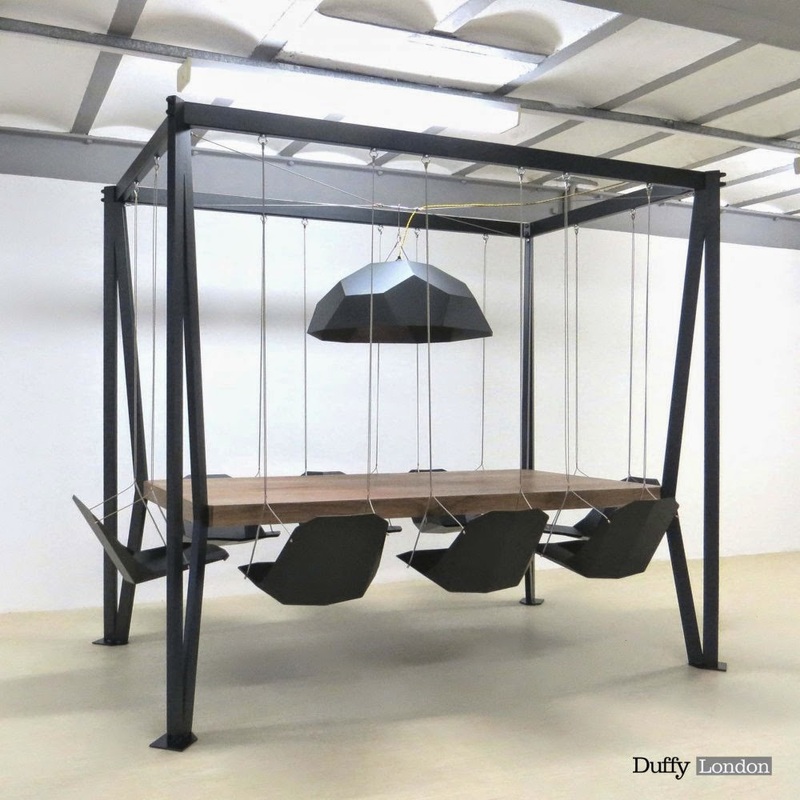 It is a table that has been handmade by local artisans and craftspeople using ethical materials, and the chairs are SWINGS! Just when you thought meal times were for meals.. oh no, they are for fun and playing too! A Geo lampshade and the 8 hanging chairs are suspended from the frame around a walnut table top that has been sourced from a sustainable forest so it's all been made with the forest at heart. ''We don't stop playing because we grow old, we grow old because we stop playing'' George Bernard Shaw. So enjoy a little interior inspiration..